Our experience working with the Riverside wedding team was amazing. 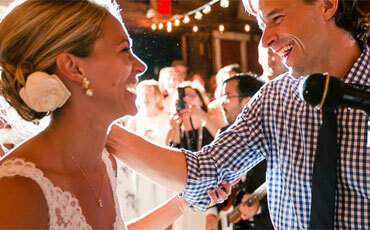 From the second we contacted the farm to plan the wedding we received exceptional service. Not only did Riverside help us select the vendors but they also played a critical role in managing the other vendors throughout the wedding planning process – which was tremendously helpful since we planned the wedding from 3000 miles away. We planned all events at Riverside from the rehearsal dinner, wedding and Sunday brunch and all were exceptionally well managed. The Riverside team helped us put together the perfect wedding day. I would recommend the venue and the team without exception. I promise you will not be disappointed. I can’t say enough about Riverside – I really feel like this place went above and beyond. No other venue in Vermont can compare to the location, the beauty of the grounds and the attentive staff. Our wedding was incredible, many thanks to Riverside staff who were there throughout the entire process, and who really made the entire weekend seamless. Sophie, the coordinator I worked with from day one was fantastic in helping to keep me organized and in responding quickly to help answer any and all questions, or to give me advice when needed. Her calm demeanor is invaluable to a bride. She gained my trust completely and by the day of the wedding I had nothing to worry about because I knew she would handle anything that came up. 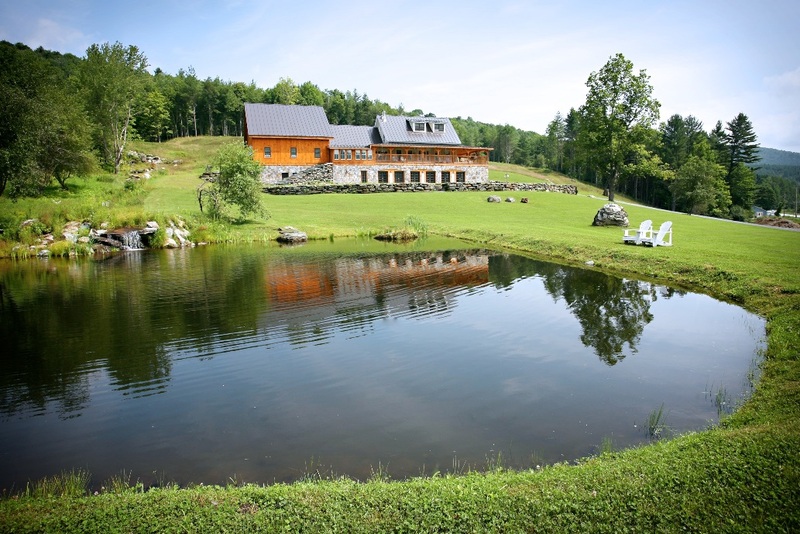 Riverside as a site is simply stunning – having grown up in Vermont, I wanted to share the beauty of my home with my new New York in-laws and extended family, and Riverside provided that perfect backdrop. The restored barns have been beautifully finished and our bridal party loved staying in the lodging throughout the property. Overall, it was just an unbelievable experience, a dream wedding, and one that friends and family are still talking about. Worth every penny. Our entire weekend went off seamlessly. The setting was magical. The staff was excellent. Riverside Farm exceeded our expectations. Sophie – thank you! it was awesome! Thanks so much for all you and Kristin did to make sure it all went off so seamlessly. All of our guests had a blast on both Friday and Saturday. Thanks for your tremendous help in making our entire weekend flow so smoothly. This was truly a magical weekend for us, made even more special because of the love Kent and Tara share. 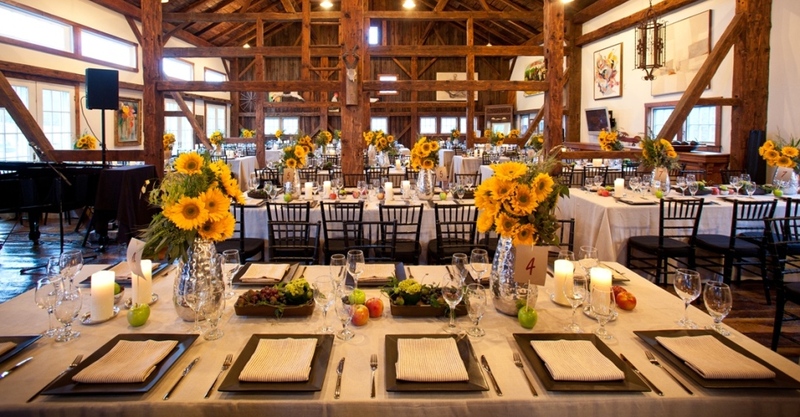 Riverside Farms is a beyond fabulous venue. It is gorgeous and special and you and your staff did everything possible to make their wedding so pleasurable for them and our guests. We all agree that the entire weekend celebration far exceeded our highest expectations. And we’re all glad that Pittsfield is just around the corner from our place in Plymouth and will look forward to seeing you again. All I can say is WOW!! What a wedding weekend at Riverside. It was the best. We got so many compliments from family and friends on what a great location Riverside is. Many said it was the best wedding they had ever been to. Even the rain wasn’t an issue. In fact, I think the ceremony inside was more intimate and cozy than it would have been outside. You all did such a great job so simply decorating the space, the candles were beautiful touch. The Brown Barn was also spectacular. All the staff at Riverside were so helpful, friendly and pleasant. Please pass this email onto all of the people involved. I want to send you all a big THANK YOU! You made Brian and Emily’s wedding day incredibly special! Thank you so much for all the assistance and guidance you provided to us during the planning of the wedding and during the wedding weekend. It was a beautiful weekend for Tim, Taylor and their family and friends. Your help was such a big part of the success! The setting at Riverside Farm and Amee Farm is exactly what we wanted, and the outcome was perfect. The staff were endlessly responsive and helpful from our fist visit to them a year ahead of the wedding right through the week following the event when we were looking for lost “stuff.” Everyone cooperated and collaborated, and we were free to enjoy ourselves which we certainly did. If you are looking for a rural wedding, and you want it to have real class, go to Riverside/Amee. EVERYONE said it was the best wedding ever.